Whether it is the intention of the exhibition or not, Tate Modern’s brilliant new retrospective exhibition of Polish-born Russian Artist, Kazimir Malevich, shows that there is truly more beyond the Black Square. Leading the ranks in an artistic revolution which went from Cubo-Futurism to the simplified geometric forms of Suprematism, Malevich’s most famous and enduring work is a simple, stark and enigmatic black square set on a white canvas. Of course since 1915 when the black square was created, many artists have gone down the single-colour-on-canvas route, and a contemporary art museum is not a contemporary art museum without at least a Blue Canvas or an Untitled (Red Rectangle) to delight and frustrate art audiences in equal measure. 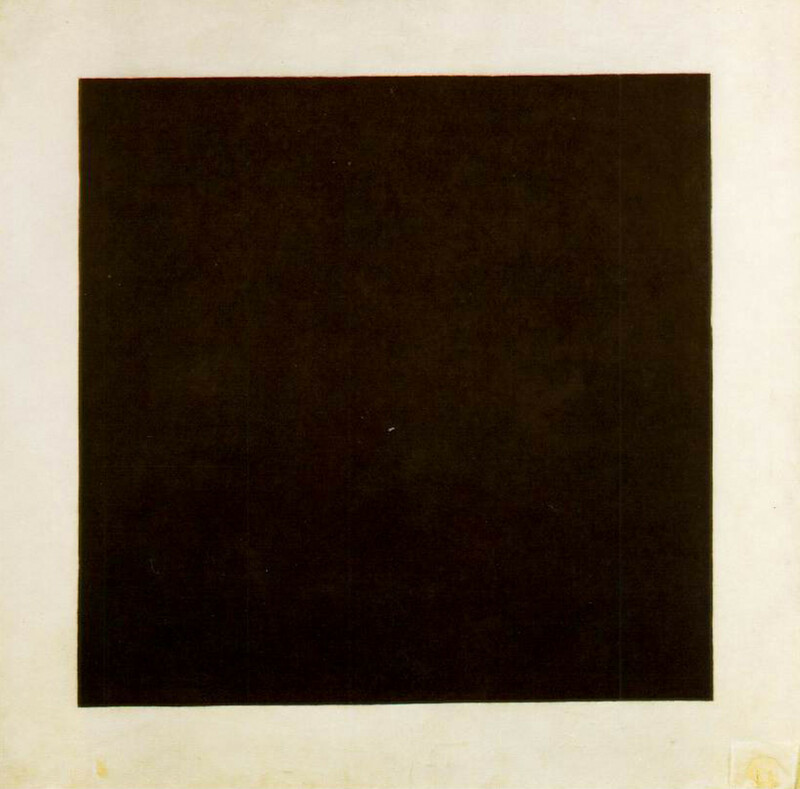 But at the time when Malevich’s Black Square was created, it marked a dramatic and stark departure from everything that had gone before it. Despite its very obvious simplicity, it carries with it an enigmatic complexity as an artistic gesture. Looking at this dark patch of paint, one can almost feel a suppression of joy, a rebellious desire for change, a stark reaction to the turbulence of war, a zero hour in the world of modern art. 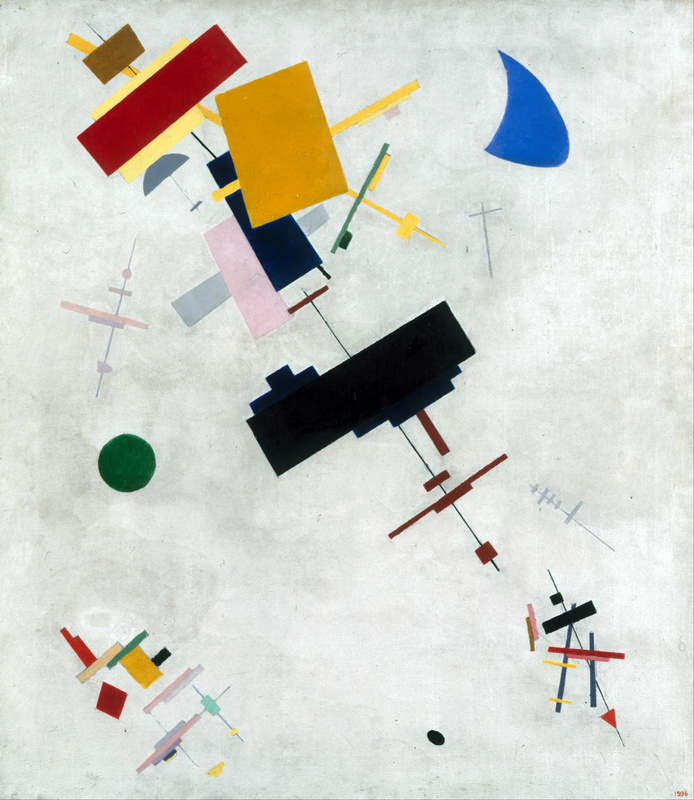 And yet while it is perhaps understandable why this painting caused such a stir, both positive and negative in the time of its creation, Tate’s new exhibition shows that Malevich had so much more to offer as an artist, and much much more of it in invigorating compositionally intricate colour. 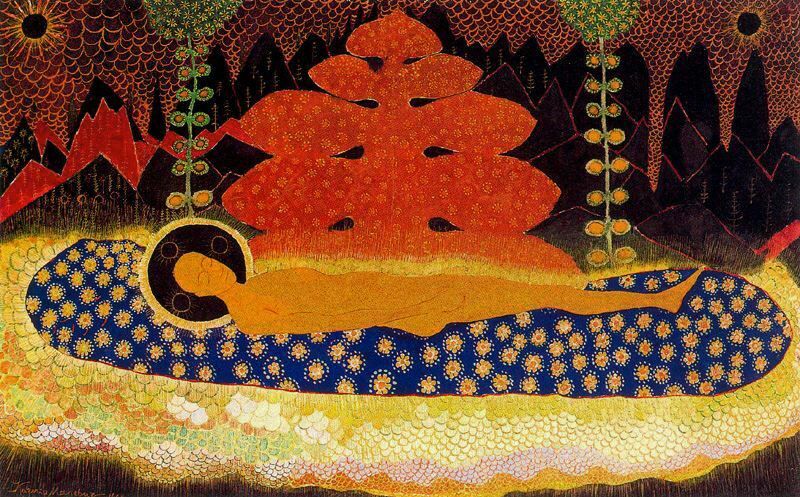 The start of the show demonstrates a certain reliance by Malevich on the artists who had gone before him, and a very clear influence of the avant-garde of post-impressionism, particularly the bold colours of the Fauvists and the flattening of perspective and exotisim advocated by Gauguin. 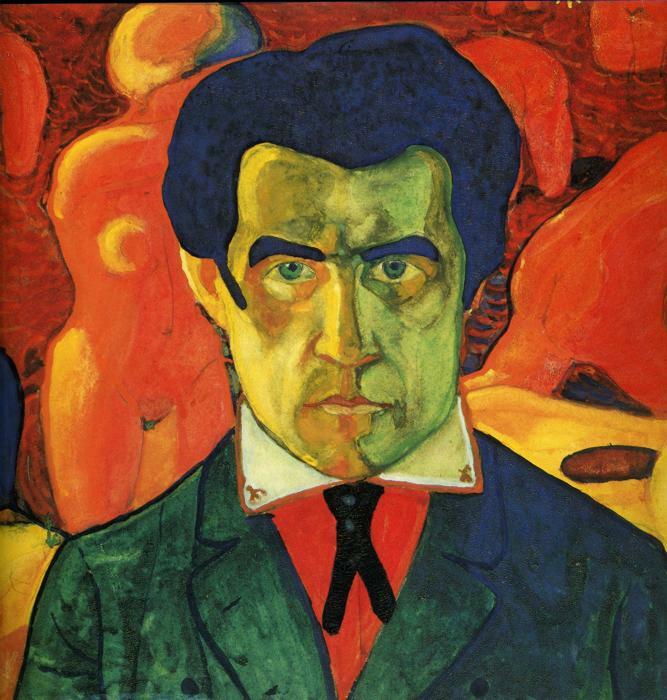 Those influences are particularly obvious in Malevich’s early self-portrait, whose backdrop of exotic nudes and use of a multi-coloured palate recalls the work of Matisse and Gauguin alike. 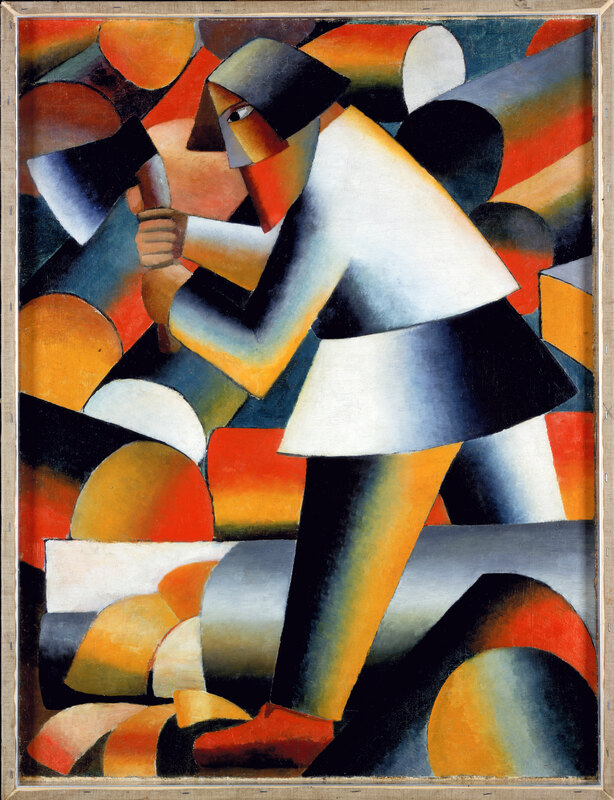 However, very quickly, we see the influence of other artists slipping away as Malevich starts to find a more unique style of his own. While relying to some extent on cubist notions, Malevich rejects the subject matter topical of the works of the Paris avant-garde and starts painting heavily geometric works based on the peasants and traditions of Russia. 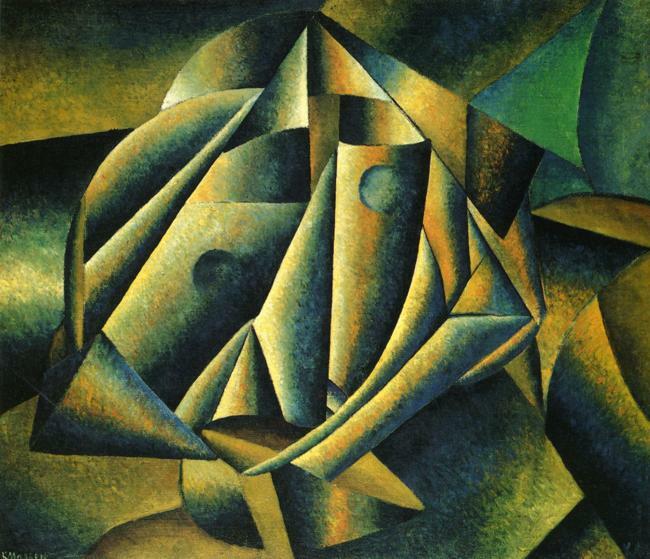 Painting simplified figures in cubist almost metallic forms, Malevich’s portraits are static like robots, referencing Futurism whose artistic reach was spreading across Europe, and yet exuding a rurality and authentic subject matter which is far departed from the industrialisation which characterises most works of the Futurist movement. 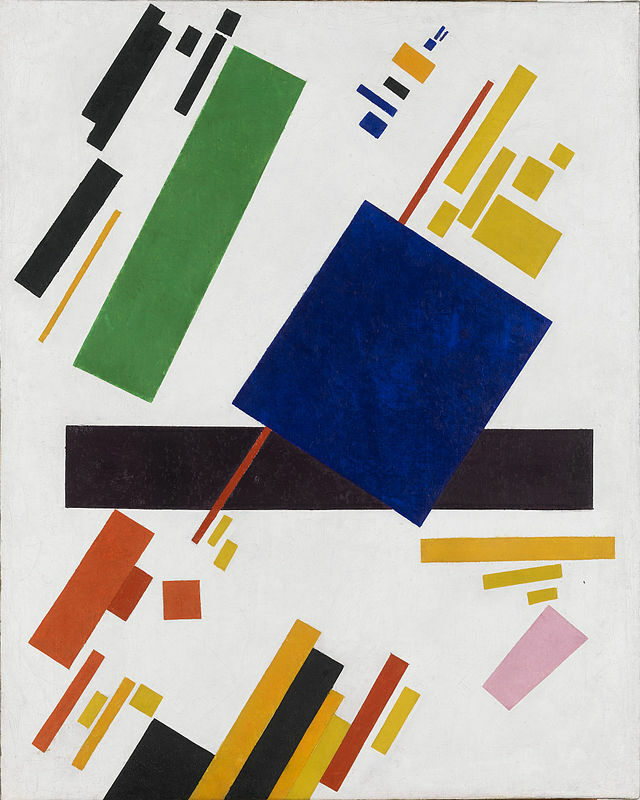 But Malevich’s early cubo-futurist works were only the beginning, and it was when, in 1914, Malevich painted his first black rectangle – Black Quadrilateral – that the artist took a clear and drastic departure from figurative works, presenting his ideas in The Last Exhibition of Futurist Painting 0.10 in what was then Petrograd in 1915. 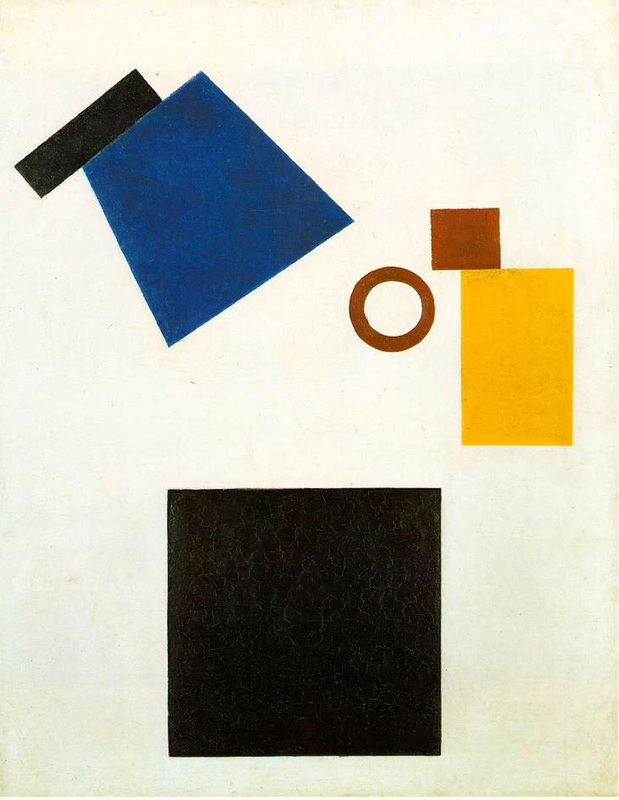 Calling his new direction Suprematism, Malevich believed that “the artist can be a creator only when the forms in his picture have nothing in common with nature” and dismissing the artists of the past as “counterfeiters of nature” he went about creating works which are starkly geometric and lacking in any feature which could link them to the natural world. The paintings which resulted from this period are a wonderful collection of energetic and colourful works (with the exception of the Black Square of course) which I loved. 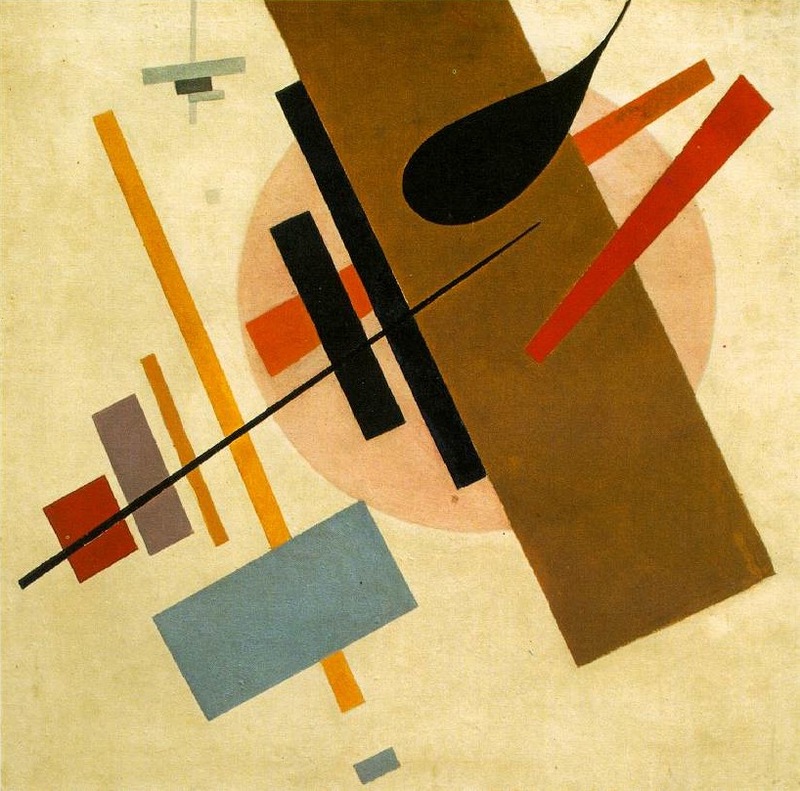 There is a complexity of composition in the way that these various shapes are interlayed and angled which cannot be underestimated, and in seeing these works, I saw that here Malevich really was creating from scratch rather than relying on nature for reference. 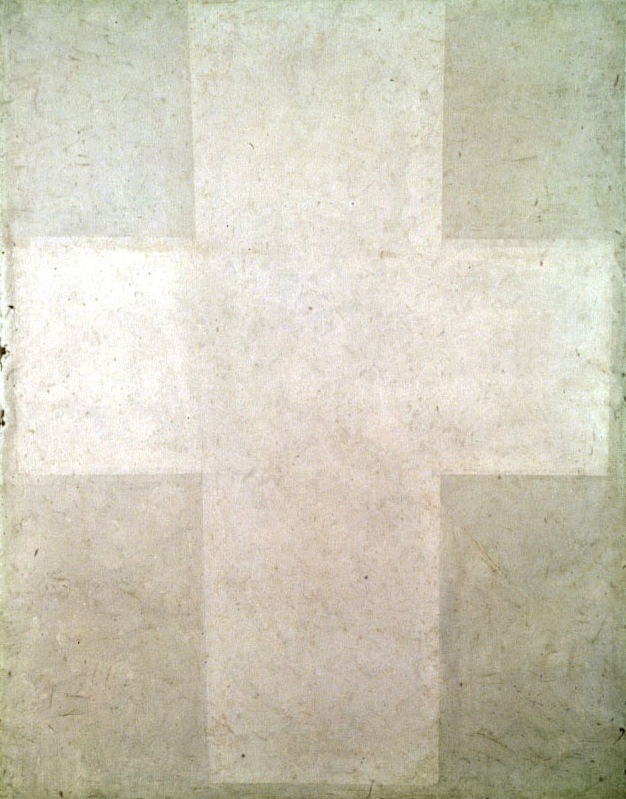 However Malevich could only take his Suprematist ideas so far, and by the time of the Russian Revolution in 1917, he consciously began to “kill off” paintings, gradually draining his paintings of colour in works such as White Suprematist Cross (1920) – a white cross on a white background – and Dissolution of a Plane (1917) where the colour is gradually fading out of the edges of a red rectangle. 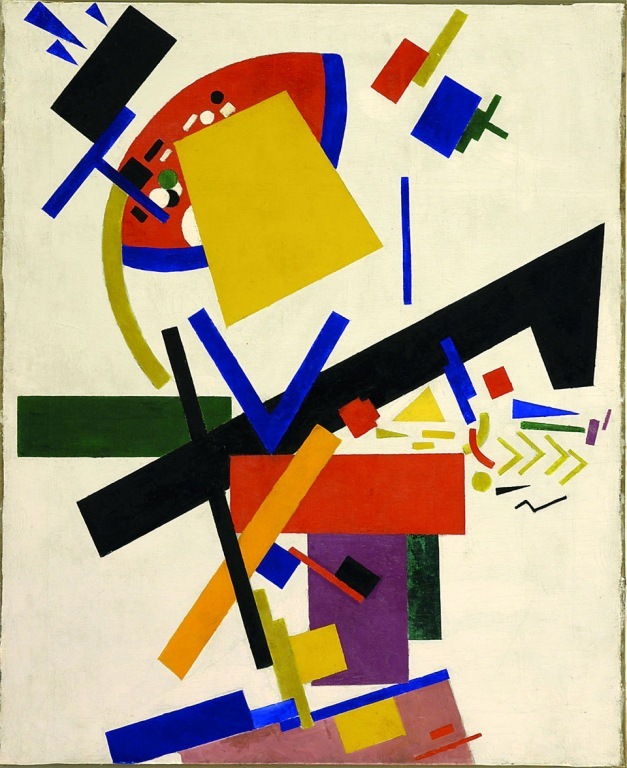 This was what Malevich called the “death” of painting, and in 1919, Malevich wrote that “Painting died, like the old regime, because it was an organic part of it”, and what followed was several years when the artist dabbled in transferring his ideas to architecture, and teaching. 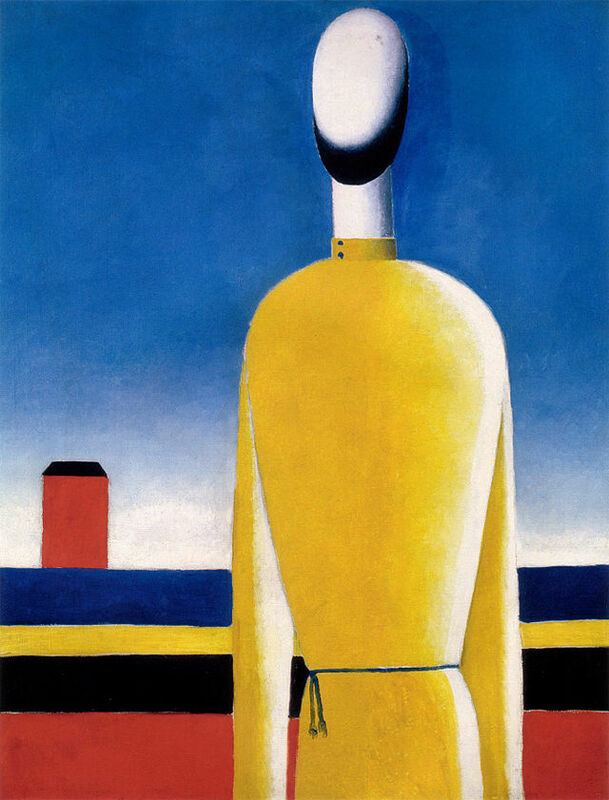 However, it was a temporary death, for a few years later, Malevich came to resurrect his painting, and interestingly, when he did so, he returned not to his Suprematist ideas, but to the cubo-futurist figuration of his early years. It was almost as though his Suprematist manifesto took such efforts that when he returned to painting, almost as a newcomer to it, he found himself drawn more to the instinctive way of painting which was inherent within him from the start. Which just goes to show: the efforts of stripping out nature and forging something new in art may create something of a stir or a statement, but ultimately we always return to the same thing: depicting the world around us, for that is arguably the true purpose and calling of art – to narrate and reference the lives we all live. In short this is a marvellous new show which provides a comprehensive review of this important artist, introducing his work to many who, like me, were not familiar with his oeuvre before. Beyond the paintings and the excellent chronological layout of the exhibition, my favourite section was Room 10, which takes a break from the paintings, and is like a mini-retrospective within the bigger story, depicting the whole of Malevich’s career through his works on paper. As such, the display provides a fascinating insight into both Malevich’s preparation of his paintings, and also how quickly his works transformed from cubism to futurism to suprematism and back again. A complex transition truly worthy of a retrospective exhibition on the scale Tate has so ably put on show this summer. 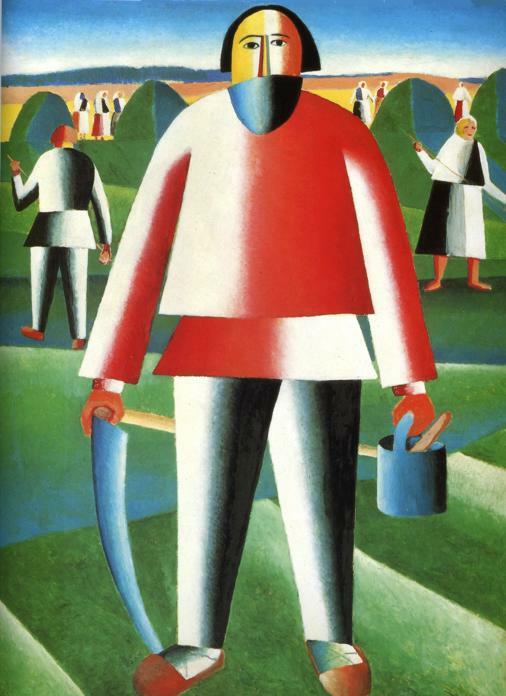 Malevich: Revolutionary of Russian Art is on at Tate Modern, London until 26th October 2014.